Don McLean’s cryptic lyrics have echoed inside me from the moment I heard the song in February 1972. A shiver chased down my spine as McLean’s evocative voice came over a squawky car radio sounding fragile and so far away. There are moments when that same shiver slips out of time for a haunted repeat performance. The words went straight through me. McLean was singing about the deaths of The Big Bopper, Ritchie Valens and Buddy Holly in a plane crash near Clear Lake, Iowa on February 3, 1959; that fact wasn’t on the landscape of my understanding. But February made me shiver with every paper I’d deliver. That line took on a distinct meaning for me. I snuggled deeper into the brown corduroy jacket and tightened my mouth against a swell of emotion. My mind was sending me urgent messages to shut down, but death was not some distant memory that could so easily be squashed. There was a stunning vividness in the reality of death, which had me in its paws and was toying with my senses. In that frozen moment, violent death seemed to be stalking me. Industrial accidents had become an annual occurrence. My father had been killed in February 1971; my Uncle Frank was buried alive in January 1972. Both men were larger than life, so the holes left in the fabric of our family were ragged. It is doubtful that those gashes have or ever could’ve been repaired. Their viewings were closed casket affairs at the funeral home on the corner of Elm and Clarence in Port Colborne. Under the location, location, location category there was and still is a liquor store across the street, which I suspect, has always gotten a lot of walk-in customers wearing somber clothes and faces. 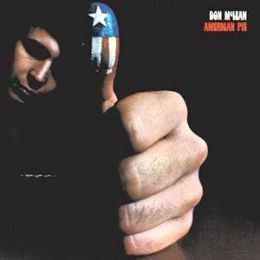 In a vastly weird twist of fate, when I first heard American Pie, I’d just left that same funeral home with my sister Janice, where we had paid respects to a neighbor who’d died suddenly. February made me shiver . . .
My cousin Lawrence was just under a year younger than me. We grew up together and were tight. He was reckless and always on the lookout for trouble of one kind or another. He had an instinct for horseplay that delighted his peers and drove adults bonkers. His cavalier approach to authority endeared him to me; his ability to shed suspicion and work his way out of any jackpot was mythic. We spent most of the summer of 1972 together. The petals of teen-age rebellion were in full blossom. We worked odd jobs and hung out, ready to jump into any fracas to keep the pot stirred. For two weeks we camped with our grandparents at a place called Hutch’s Haven, near Parry Sound, which at the time was referred to as cottage country or northern Ontario. In an aside, Parry Sound was the hometown of Bobby Orr, defenseman extraordinaire for the Boston Bruins in the NHL. Hutch’s Haven had a snack bar that doubled for a community gathering place. It was a large open room with heavy rafters. To keep people entertained there was a ping-pong table and several card tables, along with a jukebox in the corner. Every night we’d wander in and get a euchre tournament going. Each game had a small buy-in, with the winners dividing the pot and moving onto the next game. Lawrence and I were a team. He’d hustle and cajole others with side bets on a single hand. We did okay, winning enough to keep us in cigarettes and Coco Cola. We actually did better than okay; we never lost because we had good card sense. Mix in the fact that we systematically cheated and we could not be beaten. We had an elaborate set of signals based on what we did with the cigarette we were smoking or what direction we exhaled a stream of smoke. Between games, Lawrence would feed quarters into the jukebox. At some point each evening he’d select Mr. Bojangles. 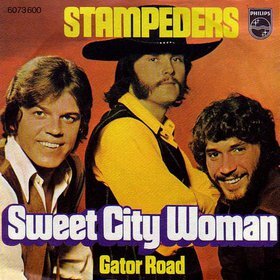 That song, along with Sweet City Woman by The Stampeders, was heard at least once every night we were there. It may be bizarre to some, but a song inspired by a street performer in New Orleans can engage my emotions. It’s strange how the process of grief truly influences us, likely shaping us in ways we cannot even imagine. 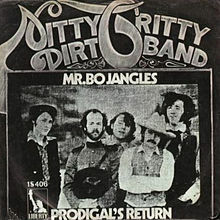 Jerry Jeff Walker wrote the song and The Nitty Gritty Dirt Band had a hit with it, which was the version in that jukebox so long ago. It is an all-time great sad story-song because it resonates with all the hard edges of life. Lawrence used to play a real tough air guitar whenever he heard the song. We’d laugh and listen, sometimes singing or shouting out the lyrics off-key and out of sync. In February 1976, my cousin and friend was killed in a violent car accident. He was only nineteen years old. The memory of him got tangled up with Mr. Bojangles. The sadness evoked in the song never fails to make my eyes moist with nostalgia about the times we had together. The living should take to heart that death is the inevitable end for everyone. Not a cheery message, which explains why sad songs and waltzes get little airplay, though they are the foundational soundtrack of my life. Sad story-songs keep me focused on what truly matters. The realization of the brevity and fragility of life is woven so deeply into my psyche that it is my natural outlook. Each and every day is a gift. Gratitude swells in me as songs touch my core and remind me of the treasure of memories that are mine. And that is what softens sorrow and sweetens perspective. How rare to remember the nights at hutches haven, Ella and Jim took two young hitchikers in to give them refuge, for the night. We stayed the whole summer. Wonderful memories, so nice to reflect after all these years. 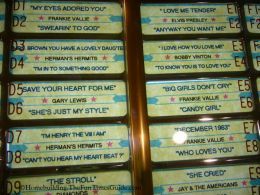 The jukebox, snack bar, guitars and friends. I have heard of the musicians but do not know the songs. However the few words that Ken has included here remind me of Lawrence whom I taught in good old Wainfleet. As he points out in his book An Ordinary Story of Extraordinary Hope found at http://www.amazon.ca/An-Ordinary-Story-Extraordinary-Hope-ebook/dp/B008BI8FJG too many young people died around the same time. One adult could easily write it off by saying, “They should have been more careful.” But that does not sum up a life lost, when someone young dies, part of the next generation has holes in it. I remember (I think 🙂 3 of them in little Wainfleet, all of whom I taught, Lawrence Major, Peter Burwell, Michael Braunlin. If I am wrong about any of these please correct me. However there are holes in the quilt of Wainfleet left by these young people that were killed and also of the wives they may have had and the children that might have been their pride and joy. But they were gone and the quilt holes remain. They remain in Ken’s memory, and in their families memories and even in a an insignificant teacher’s memory and in this case every time February rolls around, Ken thinks of Lawrence. I think of other young people that died and also left holes. I think of my youngest daughter Rebecca’s first husband, Tedd Woodworth who struggled valiantly and well against cancer and it seemed won so many times only to pass away almost four years later in Cumberland Virginia. I wrote about the story in Joyful Mourning – A True Love Story – at http://www.amazon.ca/Joyful-Mourning-True-Love-Story-ebook/dp/B00AFEG6Y0. . If you know Ken or you have felt a similar sadness or melancholy at a particular time of year I recommend you get Ken’s book, “An Ordinary Story of Extraordinary Hope either in Kindle or paperback. An excellent read that does not end with the sad story but often begins with it. Hope should be the result after mourning a loss. If you or anyone else you know needs please check out one of the above books as they both end in high hopes and better-end true stories! Peter died in an accident on Hwy 3 the autumn of ’72. I think of him often and still tell jokes I first heard from him. Lawrence and Michael were killed in the same accident near Long Beach in February 1976.
by the ministry because the landfill up the road was leaching waste into the lake. It has been under a lawsuit since. What a shame! It was a lot of work but i loved living there. My sister and i have been canoeing down the river and going to the falls. The buildings are just about done. My two teenage girls have been there and to the falls now, talk about full circle It is still a beautiful place. Anyway, hope this was some help. My sister in law Kay stated a couple weeks after the death of Lawrence that if the ice storm had happened one week earlier, then he would not have been on the road and would have still been alive. I am not sure about that; God works in his own time. We should not forget Mike Brolin and his girlfriend who were also lost in that accident.